Curb appeal is critical when you are planning on selling your property. If you do not have any real estate transactions in mind, it does not hurt to have high curb appeal to just enjoy the outside appearance of your home. Many people focus on manicured lawns and beautiful driveways when they decorate for curb appeal, but it is important to not neglect your garage doors as well. When installing a new garage door, keep some of these characteristics in mind to optimize your purchase. One of the most important considerations to make when installing a new garage door is color. This is particularly critical because it can play a significant role in determining how the garage doors stand out with the other elements in the area. Lighter colors work best when set as a contrast to darker tones or as accenting points to a similar theme, while darker colors draw more attention to the doors themselves. Plan ahead according to how much sun you get as well, as you do not want doors that are too dark in a hot area. Duplicate your style, color and lighting choices at the front door of your home. A consistent look makes your home’s exterior more balanced and welcoming. You actually don’t have to match the garage door color to the front door. Most designers are insistent that you don’t match them. You want to neutralize the garage doors. Whether the house is finished in brick, wood or any other kind of siding, choose the right tone of paint to make the garage doors highlight the front door. The windows at the top sections of the garage doors can make or break the outside appearance of the property. You can choose wider and encompassing windows or smaller ones that serve solely a functional purpose. Think about the surrounding frames to the windows as well, as there are many different stylistic elements that you can apply to these sections of the garage. To get away from the flat, boxy look of your garage door, create visual interest with windowpanes. What’s your style? Do you prefer modern with lots of glass panels? Make a statement that says, “Welcome to my home”. 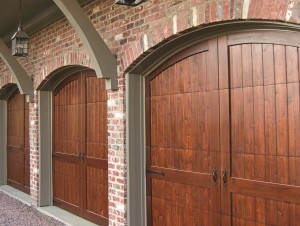 Choosing the right garage door can also provide you with a more efficient way to save on energy. These doors can be outfitted with smarter sensors that open when you need them to without using unnecessary energy. 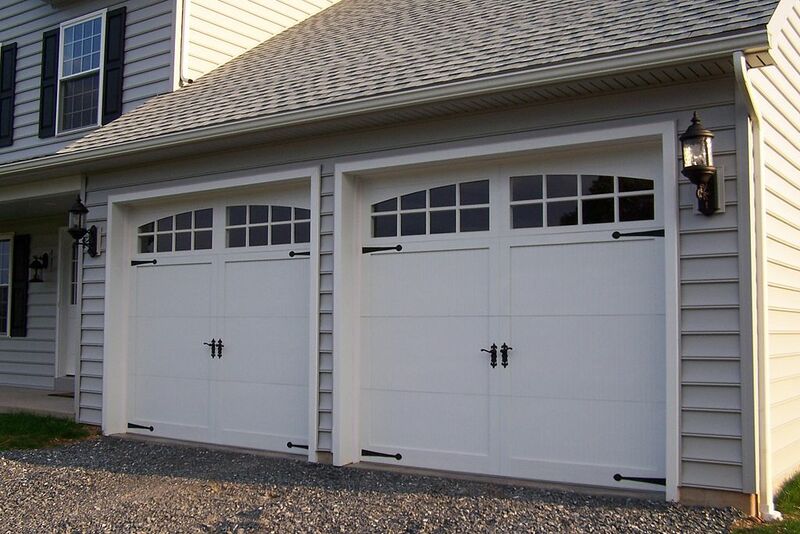 A high-quality garage door will prevent drafts and reduce your heating and cooling bill as necessary. Good doors are also durable and dependable enough to stand up to all types of weathering as well, which helps you save in the long-term on future repairs and replacements. Along with the specifications of the door, it would be worth your time to research other components of the door such as the rollers. Will metal or nylon rollers, with or without bearing be best for your door? What about the opener? What are the differences and benefits between a screw drive, chain drive, and belt drive? Would a wall mount opener best suit your needs? There are many aspects to a modern day garage door. With openers that have Wi-Fi functionality and the safety features of a door, you don’t need to settle for a plain door of the past. We live in an era of innovation, even when it comes to garage doors. Take advantage! For more information about our garage door installation services, contact USI online to find a branch near you and get a free quote. USI believes in excellence in every step of the process and ensures timely completion and quality of service, time after time.